Hi everyone. 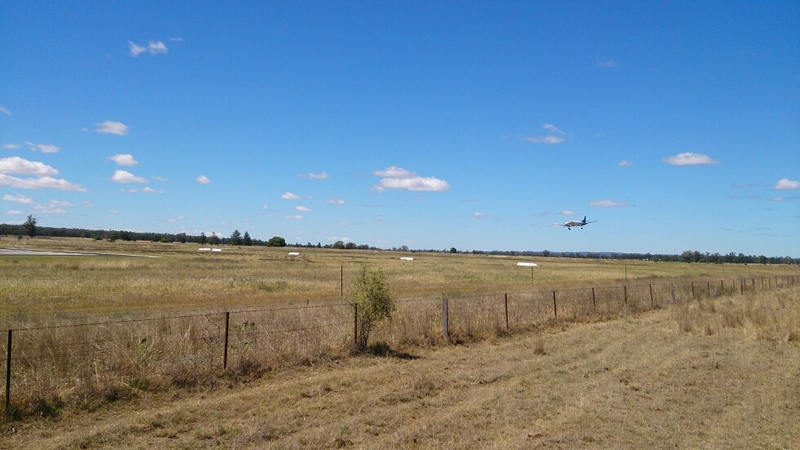 I received these photos from Jackaroo yesterday. They have been stuck in the same area for a few days now, and will be for a couple more while they wait for a big enough gap between them and the mob ahead. (You can read more about the history-making drove here). 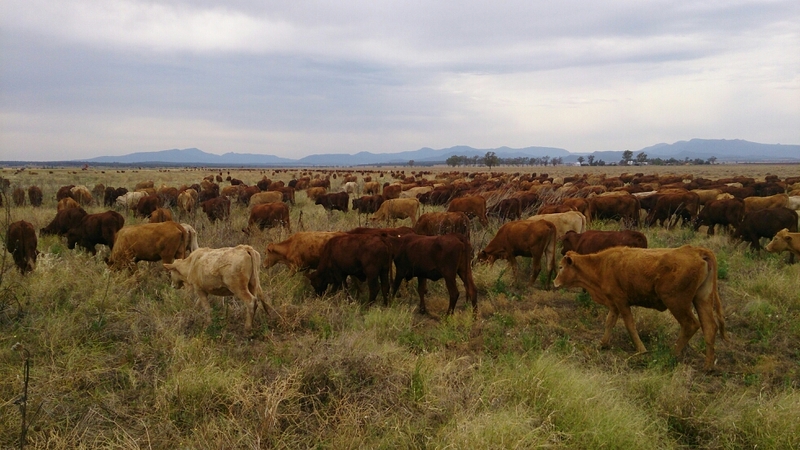 Having such large groups of cattle moving down the stock route, food is becoming scarce. So they are trying to create bigger gaps between the cattle. Not that it probably makes much difference since we’re currently in a bit of a drought! Then again, when isn’t Australia in a drought? It’s either flooding or dusty haha! 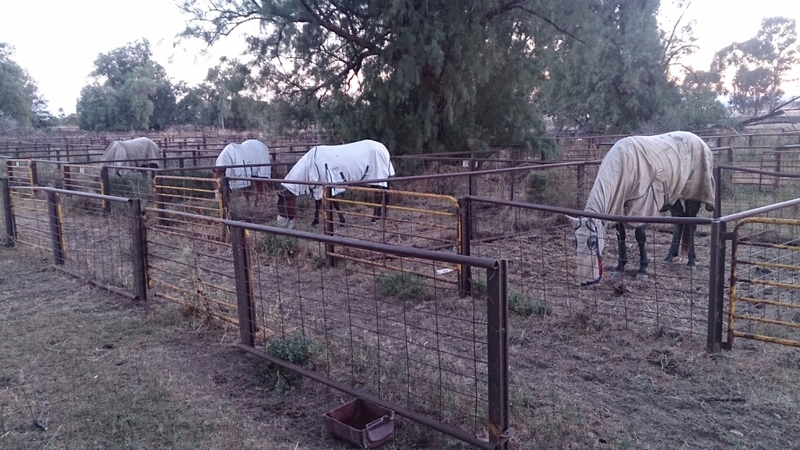 Anyway, there have been few hiccups along the way, apart from earlier this week when a few horses escaped. 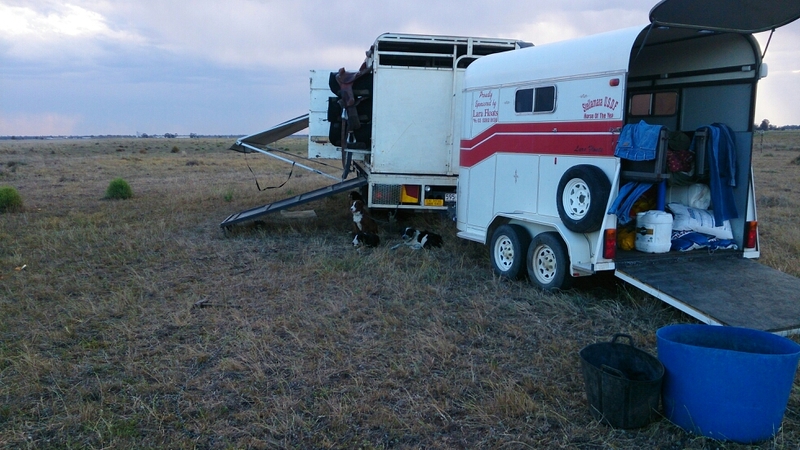 The horses are currently having to be hobbled during the night, as the other morning they were found 8kms from camp! Naughty nags. Apparently one of them was my beloved Perseverance. No… That can’t be right! 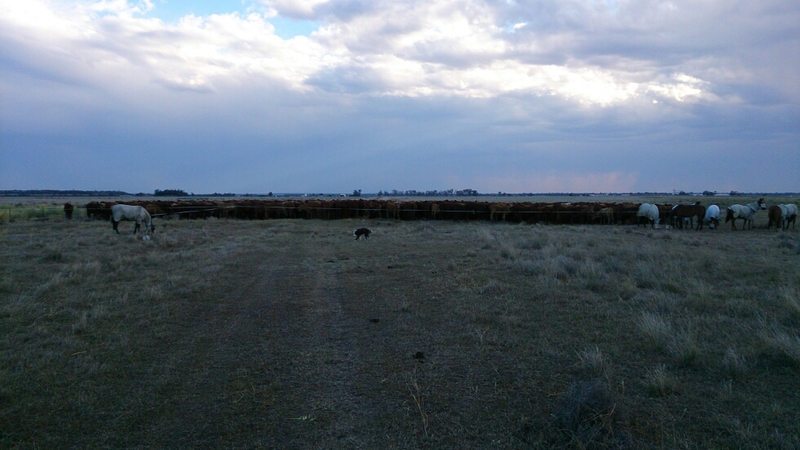 The cattle graze as they walk. 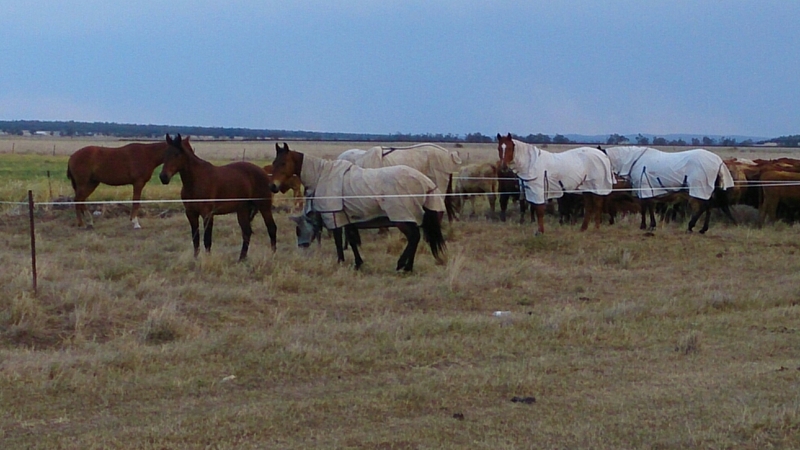 Feed time at the yards in Naribri. Believe it or not there is 2000 head there! Morning on the stock route. A storm rolls in to camp while the men prepare for the night. 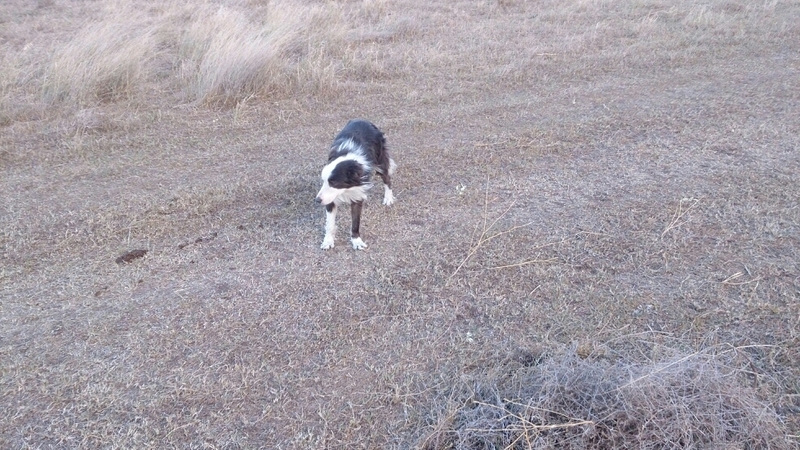 Storm, one of the working collies. Camp. Definitely a lot more comfortable than back in the day! An electric tape holds the horses for the night. 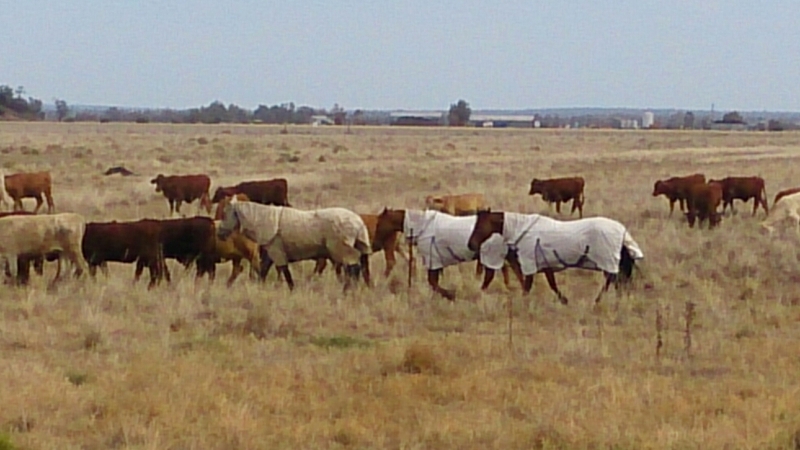 The horses on their days off travel with the cattle. 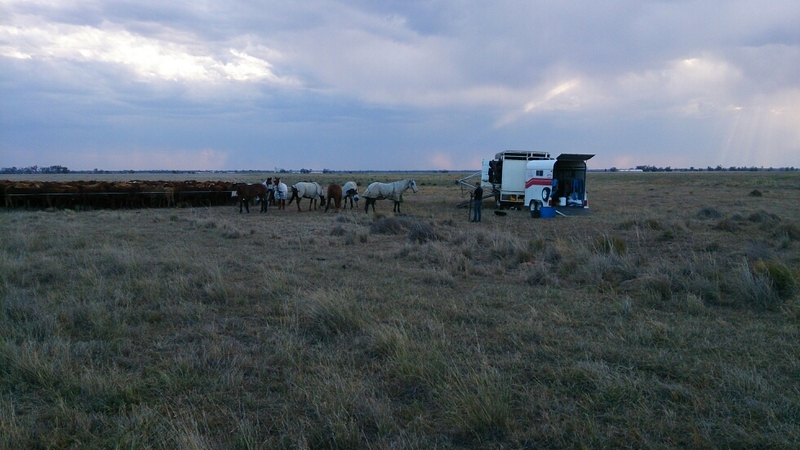 The horses and cattle are tucked in for the night. 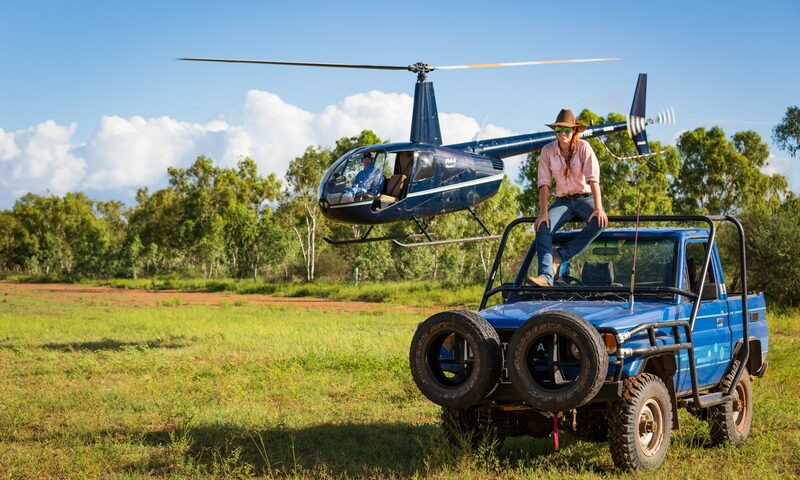 A drover on his horse. You have to be prepared for anything, if 2000 head of cattle had spooked at this plane coming in, there would’ve been some major dramas! Next PostNext Latest pics from the stock route.